Here we are with a leap day year. This gives you one more day to take advantage of our 10% percent off sale on selected items. Sale ends today! Each month Scentsy offers a new warmer and scent. During their featured month and while supplies last products are released, they are on sale for customers at 10 percent off. Here is this month's creative warmer design and fragrant new scent. You are going to love February!! Wow! 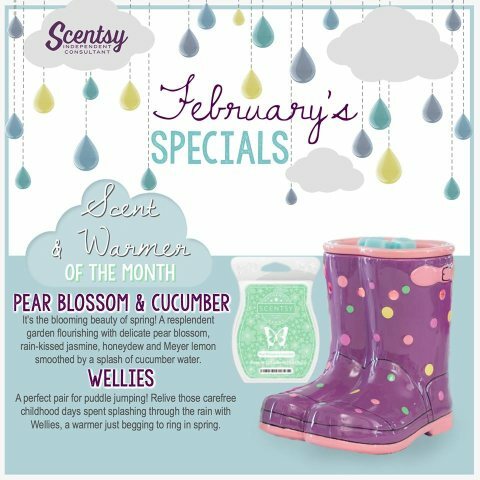 Scentsy has so much going on in February! The release of our new Scentsy Buddy Edmund, our 10% OFF selected Scentsy items sale, plus join Scentsy in February to receive our Enhanced Starter Kit! Can you say AWESOME! If you have any questions or need help with anything, shoot me a text or call 816-786-1564.